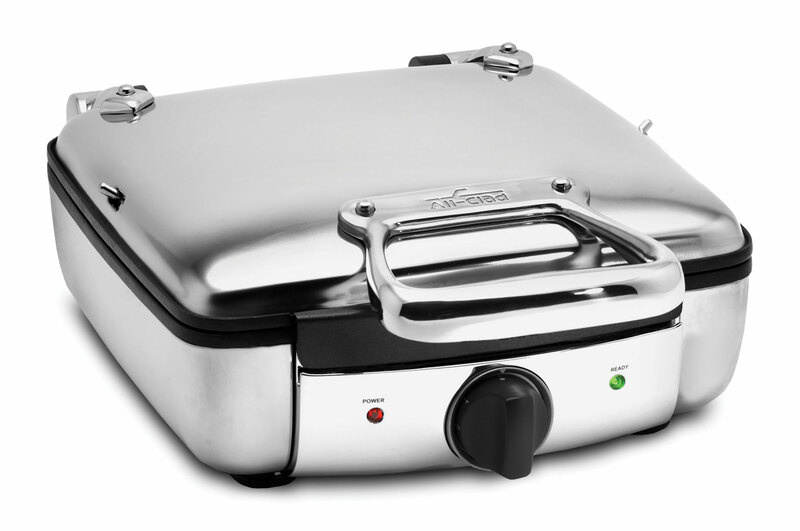 The All-Clad 4-slice Belgian Waffle Maker is able to bake up to four square-shaped Belgian waffles to enjoy during weekend brunches, delicious desserts or even as a snack. 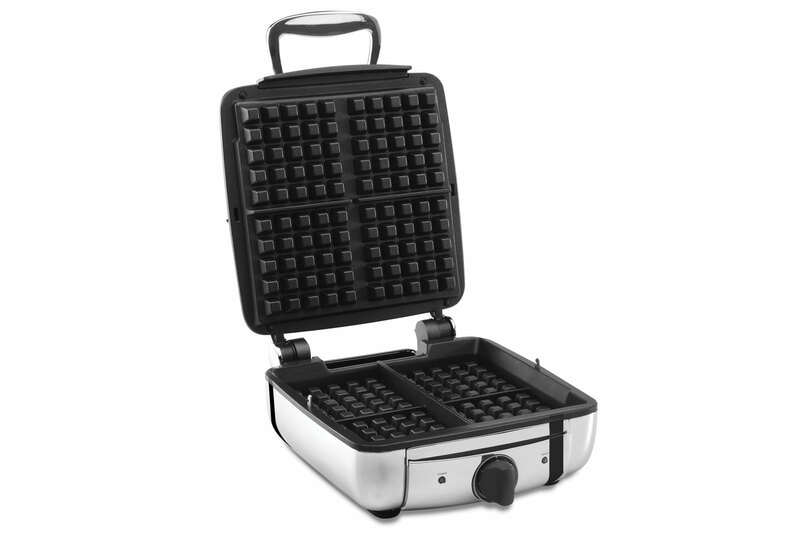 The 1600-watt waffle maker's advanced heating technology ensures consistent baking and browning, while its steam-release system prevents condensation from building-up, so you can enjoy delicately crispy waffles on the outside and fluffy in the inside. The waffles measure 4.5-inches wide by 1-inch thick, with easy-to-cut sections and have extra-deep pockets for capturing jam, sugar, chocolate, fresh fruits and other favorite toppings. The red indicator light lets you know that your waffle maker is preheating and an audible beep tells you when when it is properly preheated. Simply pour in the batter, close the lid and turn the knob to adjust the temperature. 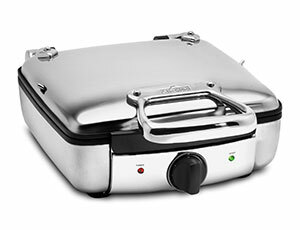 The green indicator light along with an audible beep, lets you know when the waffles have finished baking. 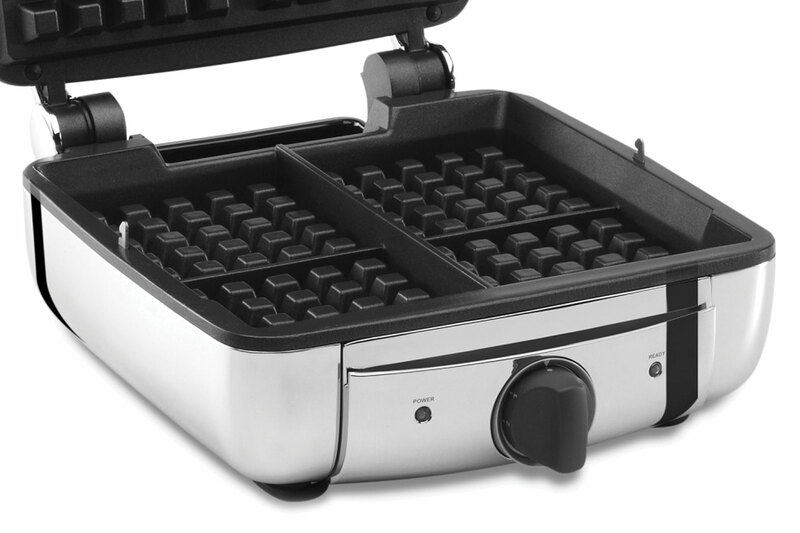 This waffle maker is also easy to clean thanks to its nonstick cooking surface. 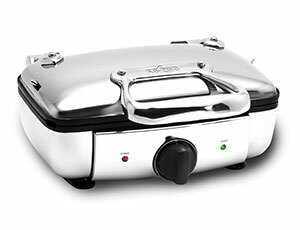 Housed in polished stainless steel with a branded die-cast handle, this strong waffle maker ensures long-lasting performance while beautifully complementing All-Clad stainless steel cookware for a cohesively stunning collection. 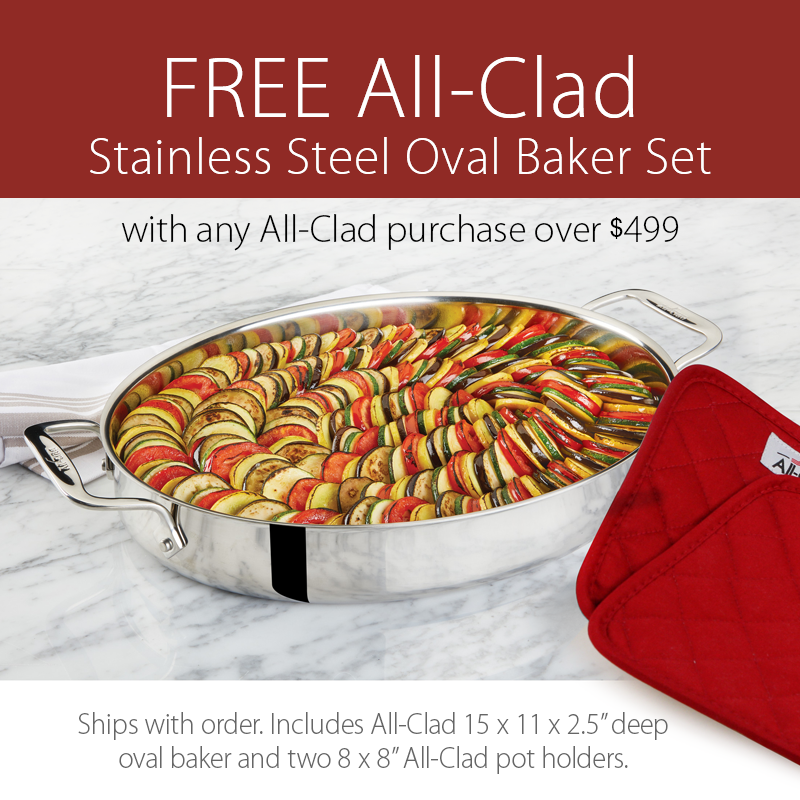 Includes a removable drip tray, integrated cord storage, and a locking lid for convenient upright storage.